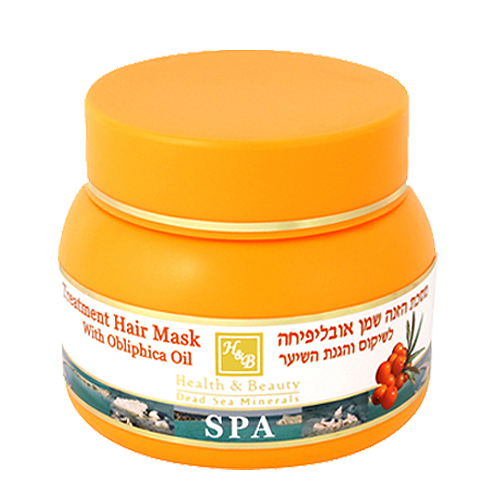 This mineral rich hair mask from Health and Beauty Dead Sea Minerals is enriched with high concentrations of Sea Buckthorn (Obliphica) oil, known for its remarkable moisturizing properties. This nourishing Obliphica hair mask can be used in places with hard water, and is designed to repair split ends. Radiation filters prevent the loss of color, and antioxidant Vitamins A, E, and B5 protect and revitalize the hair, leaving it healthy and sleek. Carrot oil and shea butter provide additional moisture.